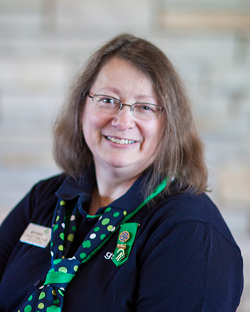 We’ve heard from many of our volunteers that you want to know more about the Girl Scouts of Greater Iowa staff who can help you with questions about all things Girl Scout. Here’s an introduction to your support teams, and what topics they can help you with! Be sure to scroll to the bottom of this page to check out a map of the council regions, too. Our top-notch Customer Care team is here to help with any and all inquiries! Questions can be directed to Customer Care at 800-342-8389 or info@gsiowa.org. This team will skillfully answer your questions directly, or guide you to an individual who can best serve you! The Placement team is here to help both new and returning Girl Scout members! Placement Managers find troop opportunities for girls and volunteers, assist parents and families through the registration process, and ensure volunteers complete the volunteer registration and background check process. Your Placement Manager may contact you to see if a new girl member can register for your troop! Interested in getting more girls and adults involved in Girl Scouts? Planning a service unit recruitment event? Want assistance planning a recruitment event anytime throughout the year? Have an event you think Girl Scouts should attend? The Recruitment team is here to help! 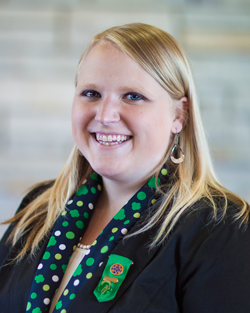 Recruitment Managers work across the council to ensure more girls have an opportunity to experience fun and leadership development in Girl Scouts. We are always looking for new events to attend to promote Girl Scouts in your area. Volunteer Experience Managers (VEMs) work with Girl Scout volunteers from the start of your journey! 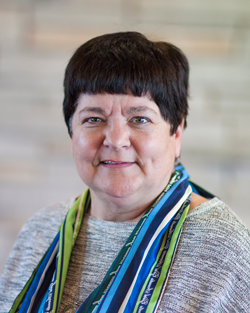 Volunteer Experience Managers help new leaders get started, then continue to support, update, and help with questions and issues. Our goal is to ensure that girls and volunteers have the best experience through all Girl Scout programs! You’ll also receive a monthly email newsletter “From the Desk of” your VEM. Looking for books, uniforms, or fun Girl Scout gear? Visit the council shops located in all Girl Scouts of Greater Iowa Leadership Centers. For a full list of GSGI staff, visit our website. If you are not sure who you’re looking for, don’t hesitate to contact Customer Care at 800-342-8389 or info@gsiowa.org.